Asus Zenfone Max Pro M2 has been announced for Malaysia market. Like the previous M1 model, this new model also focuses on affordable gaming devices. 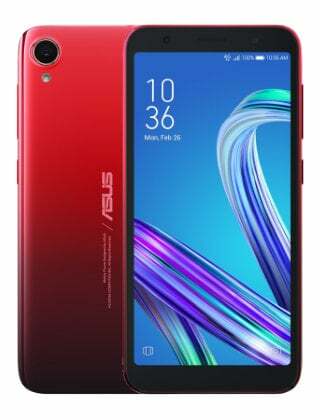 Asus Zenfone Max Pro M2 available with a 6.3-inch notch screen with 1080p+ resolution. It will also use a Snapdragon 660 chip, a choice of 4 or 6 GB RAM and 64 GB of internal memory. The phone also comes with a huge battery capacity of 5,000 mAh. The camera is a combination of 12 Megapixel (F1.8) and 5 Megapixel lenses while the 13 Megapixel (F2.0) camera for the Selfie. Asus Zenfone Max Pro M2 is available in two color Midnight Blue and Cosmic Titanium. Asus Zenfone Max Pro M2 price in Malaysia is starting RM859 for 4GB RAM model while for 6GB RAM model, the phone priced at RM999. Ya, tuan boleh semak dilaman rasmi Asus Malaysia. max pro m2 ada kemaskini android 9.0 (pie) ke? Sekarang di India ada yang dah terima Android Pie, Di Malaysia mungkin sedikit lewat.